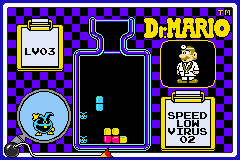 < WarioWare, Inc.: Mega Microgame$! 9-Volt goes home from his school to get it down like he usually does, Nintendo style. Why not join in the fun? 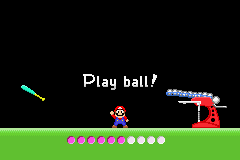 Bring yourself back to the past and play some good ol' Nintendo games you may or may not reconize, WarioWare style! Fly through the air, but don't run into the little sparkling fires! Simple! But challenging! Move and rise to avoid the fires. Don't fall into the water or a fish will gobble you up. Level 1: Avoid two flare. Level 2: Avoid several flares. Level 3: Avoid many flares. One of them is moving. Want 8 bits of history?! Shoot the duck when it comes into your sights! Ducks will fly past you. Shoot them when they come to your target zone. 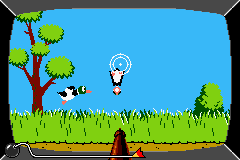 Level 1: Shoot one duck. 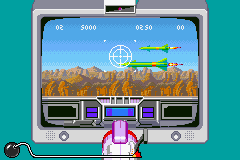 Level 2: Shoot one duck, which has maneuvers. Level 3: Shoot two ducks. Check it out! 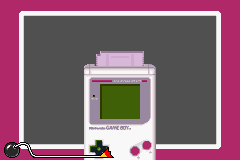 The original Game Boy! Remember how to insert the Game Paks? 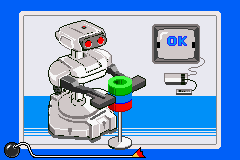 Insert the Game Pak into the Game Boy. 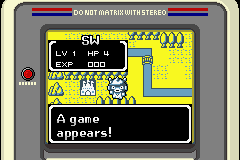 Level 1: The Game Pak is close to the Game Boy. 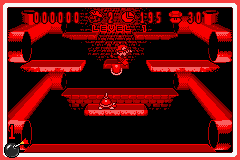 Level 2: The Game Pak is farther form the Game Boy. Level 3: The Game Pak is even further. You know this one! 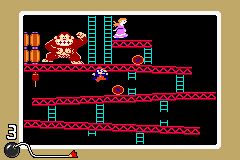 Donkey Kong is heaving barrels at you, so you'd better avoid them! Jump over the barrels Donkey Kong throws at you. Level 1: Jump over one barrel. Level 2: Jump over one to two barrels. Level 3: Jump over two to three barrels. It's fast! It's wicked! It's your hyper-speed driving machine! 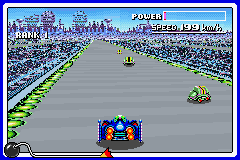 Speed past the other racers! Vroom! As you speed through the course, move to dodge the other cars. Level 1: Move past three cars. 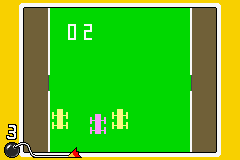 Level 2: Move past four cars. Level 3: Move past five cars. 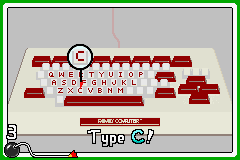 Locate and press the correct key! All this fun in 8 teeny, tiny bits! Move to the key given by a hint and press it. Level 1: Press any number. Level 2: Press any letter. level 3: Press any number and letter. The Goombas need a good ol' squashing! You know the drill: land on their heads, not their sides! Stomp on the Goombas move to them and jump to do so. Level 1: Stomp one Goomba. Level 2: Stomp two Goombas. 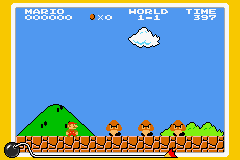 Level 3: Stomp three Goombas. Grab a ping pong ball with the Ultra Hand. How cool is this?! Grab a ping pong ball in a color the hint states. Level 1: Grab one ping pong ball. Level 2: Grab one of the two ping pong balls. Level 3: Grab one of the three ping pong balls. If only cleaning were this fun! Clean up your place with this remote control vacuum! Level 1: Vacuum up one speck. Level 2: Vacuum up four specks. Level 3: Vacuum up seven specks. 2-D quick draw! Shoot the blinking target on the outlaw! Shoot the target to win. Level 1: You are going up and down. Level 2: You are going left and right. 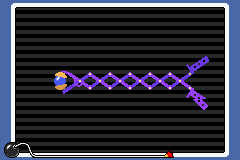 Level 3: You are going in a figure 8. Ah, such a classic! Shoot before you get shot, but only shoot the bad guys! Shoot the guys with the guns. Level 1: Shoot one thug, not the woman. Level 2: Shoot one thug. A cop will appear. Don't shoot the policeman. Level 3: Shoot 2 thugs. Swat the irritating flies buzzing around you! Truly magic gaming! Swat any flies that come to your swatter. Level 1: Swat one fly swat it before it flees. 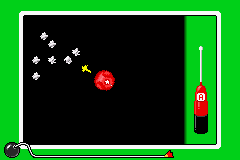 Level 2: Swat two flies hit it before they leave. Level 3: Swat three flies they go to target range for a fraction of a second so hit them by rhythm. Grab hold of the big bird cruising through the sky! This was once the pinnacle of gaming! Grab the bird on top of the mountain. It's going back and forth, so jump carefully. Level 1: The bird is on your side of the top. Level 2: The bird is on the other side of the mountain. Level 3: Your on the platform below the top. Jump on the top before you grab the bird. It's...it's Link! Hurry up and move him into the cave! Talk about a great game! 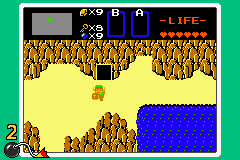 Move Link into a cave, but watch out for obsticles along the way. Level 2: A Leever will be in your way. Level 3: A Zora will shoot at you. Take out the bad guys and avoid their cross fire.! How's that for memory lane? Shoot the bad guys. It is recommended that you shoot at a diagonal angle. Level 1: Shoot one bad guy. 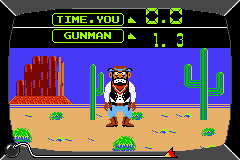 Level 2: Shoot two bad guys. 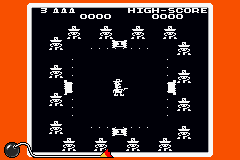 Level 3: Shoot two bad guys. The bad guy will come in, so shoot carefully. Make a line of four identical capsules. That's an 8-bit prescription I'll take anytime! Finish a lineup to get rid of the last remaining virus. Level 1: Finish a vertical lineup. Level 2: Finish a horizontal lineup. Level 3: Finish a vertical lineup. The space between the viruses, so be careful. Pass as many cars as you can without crashing into them! This game is awesome! Go through the cars. Move to avoid them. Level 1: Avoid lone cars. Level 2: Avoid cars with another alongside them. Level 3: Same as 2, but they now move. Throw the shell and knock the target off the ledge! This rules! Throw the shell as the enemy stands in the middle. 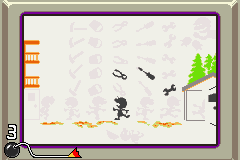 Level 1: Throw the shell at a Spiny, which walks casually through range. Level 2: Throw the shell at a Boo it goes at the middle slowly. Level 3: Throw the shell at a Paragoomba, which jump to the middle at the last second. 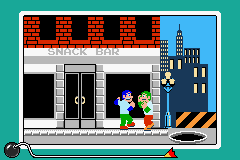 Make it through this 8-bit masterpiece without getting hit by the tools! Move a guy into the right house. Watch out for the tools falling. Level 1: Avoid a few tools. Level 2: Avoid a couple more tools. Level 3: Avoid a lot of tools. Guard yourself while waiting for your chance to KO your opponent! 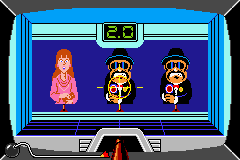 Another golden 8-bit moment! Punch your opponent until he is defeated. He blocks so hes not completely vulnerable. Level 1: Punch him once. He won't block. Level 2: Punch him twice. He'll block a few times. Level 3: Punch him thrice. He'll block a lot. Time it so that R.O.B. grabs the stack of disks! Does this take you back...WAY back? Grab the rings as go over it. Level 1: Grab a stack of three rings. Level 2: Grab a stack of two rings. Level 3: Grab one ring. Destroy Mother Brain! Ah, "Metroid"... Now that's one good game! Shoot the Mother Brain until it is destroyed. It sometimes fires back and it blocks your fire. Level 1: The Mother Brain doesn't fire at all. Level 2: The Mother Brain fires at you a few times. Level 3: The Mother Brain fires at you a lot. I love this game! 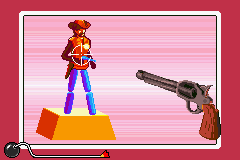 Prove who's the fastest draw in the West! Fire at your opponents as he says "Draw!" Fire very quick, or he fires you first. Level 1: Your opponent fires very late. Level 2: Your opponent fires early. Level 3: Your opponent fires very early. Take out the enemy missiles! What a classic! Move to aim the rockets going to the right. Fire at them. Level 1: Fire at one rocket. 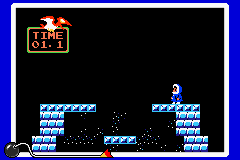 Level 2: Fire at two rockets. Level 3: Fire at three rockets. Batter up! Can you connect with the pitches? Watch for the change-up! Level 2: Hit one more amount of balls. Level 3: Hit one more amount of balls. This page was last edited on 15 June 2014, at 17:01.